Available in Bearing 90°, Bud, Cone, Cylinder, Hart 45°, Round, Setting, and Wheel. Not all shapes are available in all sizes. 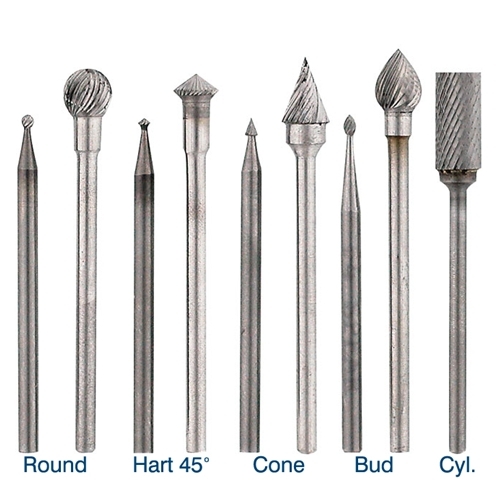 Like all carbide burs, these must be run at maximum speed — will chip if started on work at slow speed or if not removed from work at fast speed. 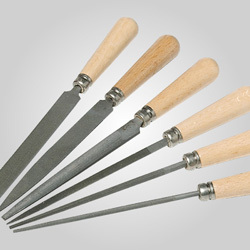 Can be resharpened. 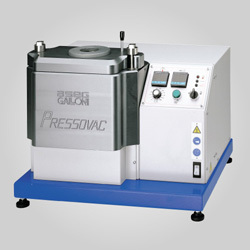 Please email us for a resharpening quote, be sure to include bur style and quantity. Individually hand-cut with diamond wheels. 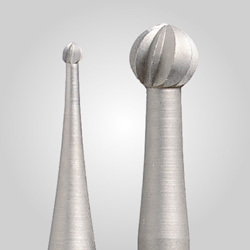 Sizes 4 to 8 feature one-piece construction; sizes 9 and larger are securely brazed onto steel shanks. Please consult ANSI American National Standards Institute for speed recommendations.